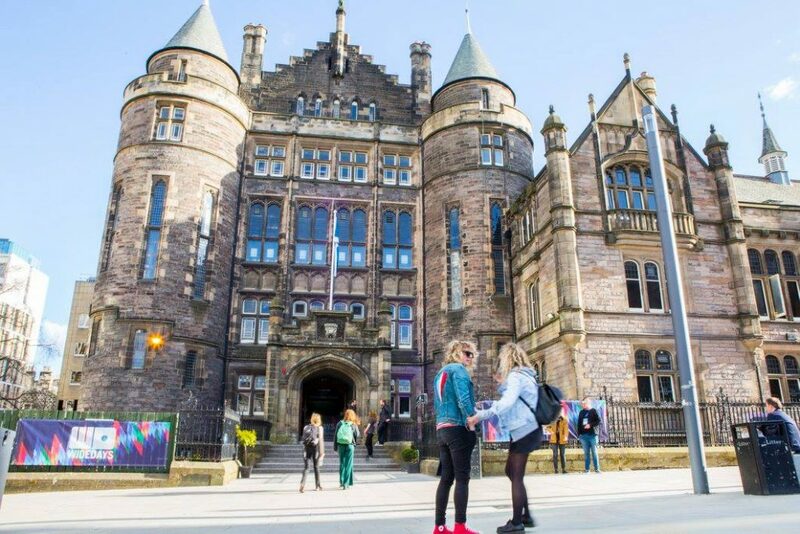 WITH less than one week to go until speakers, bands, delegates and music fans flock to Edinburgh for Wide Days 2019, Tenement TV are giving you the run down of everything that Scotland’s music convention has to offer. Thursday night of Wide Days 2019 kicks off with the welcome party, hosted by one of Scotland’s newest booking agencies, Antidote Booking. Taking over La Belle Angele, this showcase is free with delegate pass and includes three of Scotland’s most exciting bands; dark indie favourites Man of Moon, good-time party pleasers Tom McGuire & The Brassholes, and soulful singer-songwriter Carla J. Easton. The Friday of Wide Days 2019 is dominated by incredibly insightful industry chat and unique experiences within the music industry. Offering an eclectic lineup of talks and panels, Wide Days will cover an incredible programme this year. ’15 Minutes of Knowledge’ is bound to be a highlight, with a quickfire insight into the must-know trends and ideas within the music industry from Bandcamp, EmuBands and Soundcloud. Friday also gives attendees the chance to experience something totally pioneering, a unique engagement unlike anything seen before at a UK music conference. Chaired by the BBC’s Vic Galloway, ‘Ask The Young Team’ will allow industry delegates to present questions to a room packed with music consumers. Using incredible live-polling technology, this event will garner some incredible first-hand data and opinions from the modern music consumer. In incredible valuable experience for anyone in the music industry. Partnering with Ticketmaster and the PRS Foundation, Wide Days are kicking off the weekend with an incredible showcase. With an incredible lineup that includes enthralling duo VanIves, the eccentric Franky’s Evil Party, soulful folk singer-songwriter Megan Airlie, alongside many others including Parliamo, Shears and more. Rounding off the incredible three-day gathering of music professionals and fans is the Festival Takeover. Electric Fields and Kelburn Garden Party are joining our very own TENEMENT TRAIL are taking over Edinburgh’s La Belle Angele and The Mash House, bringing some of the best emerging acts. 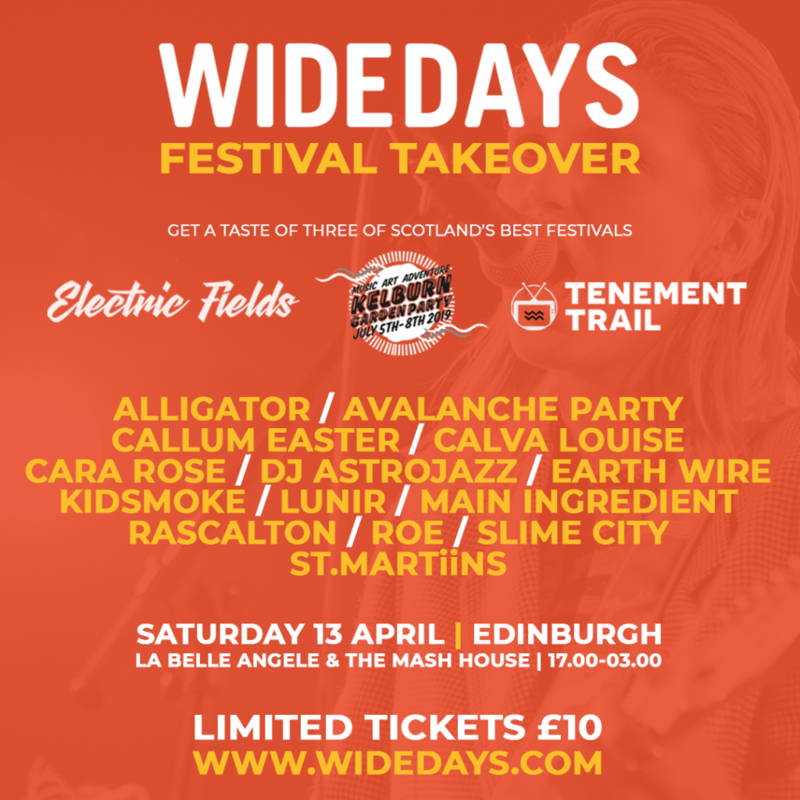 Tenement TV are delighted to bring Alligator, Calva Louise and Cara Rose to Wide Days 2019. They will appear alongside ROE, Rascalton, Lunir, Earth Wire, Main Ingredient, Callum Easter, Slime City, St. Martiins, Avalanche Party, Kidsmoke and DJ Astrojazz, to round off the conference in incredibly loud style. Find out more about Wide Days and secure your delegate pass or Festival Takeover ticket here. Could Massive Attack's 3D be Banksy? With CHVRCHES stomping their place in the UK Top 10 with their latest single ‘Here With Me’, the Scottish invasion of the charts has begun, with 40% of artists at the top hailing from Scotland. ‘Happy Now’ is the latest studio release from legendary post-punk band Gang of Four. Renowned for bringing some of the best new artists to centre-stage, monthly London club night Good Karma Club, hit the road earlier this month, bringing a strong showing to their Glasgow show at Stereo. Four weeks out from when the biggest weekend in the British music industry kicks off in Brighton, The Great Escape have added the final 100 artists to their 2019 lineup.